A former department store in Inverness has been sold for £490,000 and the premises let out to a pub chain. 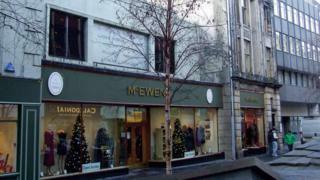 McEwens of Perth had occupied the site on Church Street for many years before it closed after the company went into administration. Shepherd Chartered Surveyors has sold the property, which covers two buildings in the city centre, to a private investor. It has been leased out to Revolution Bars.